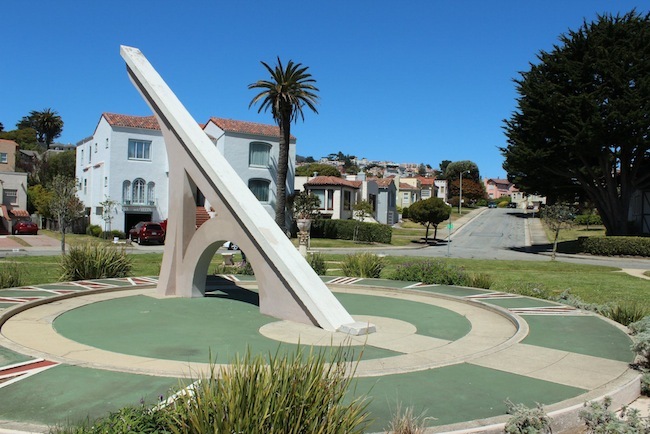 This giant sundial of Ingleside Terracces, San Francisco, was erected in 1913. Bethypoo is finding relief in the shade during an unusually warm day in the City, at 2:50PM PDT. Catching a happy moment at a photoshoot in Concord, California. 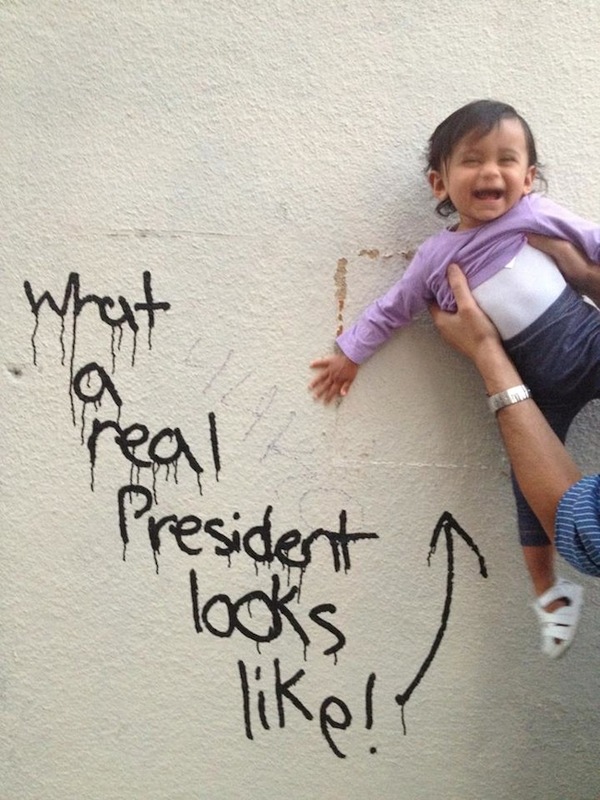 Political debates can cause strife within a family, but we were all in agreement with this statement, made in a Petaluma alleyway. 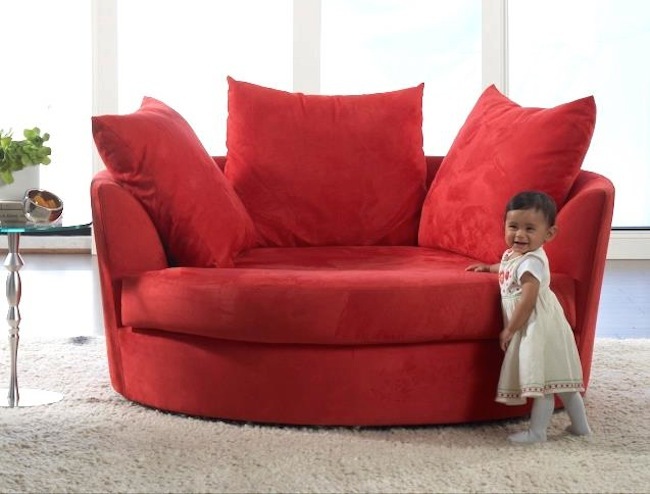 At the time this photo was taken, Bethypoo was 2’3″, had a diameter of about 8 inches, and was approximately nine months old. 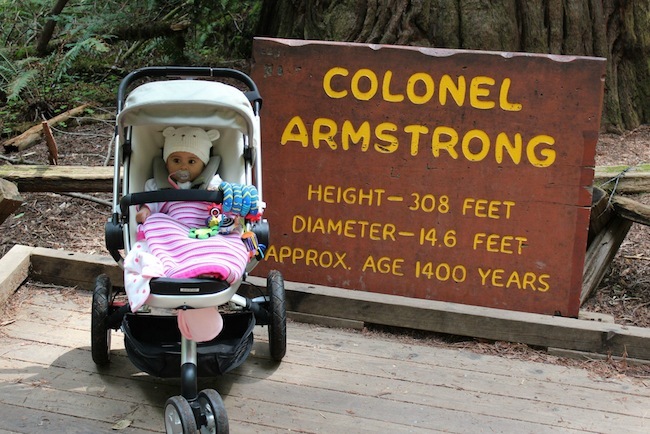 The Colonel Armstrong Tree is the oldest tree at Armstrong Redwoods State Natural Reserve, located near Guerneville, Sonoma County. 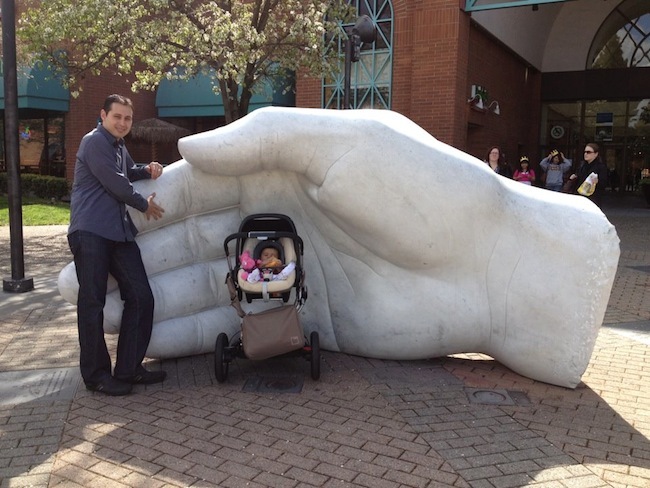 A hand sculpture in Santa Rosa. 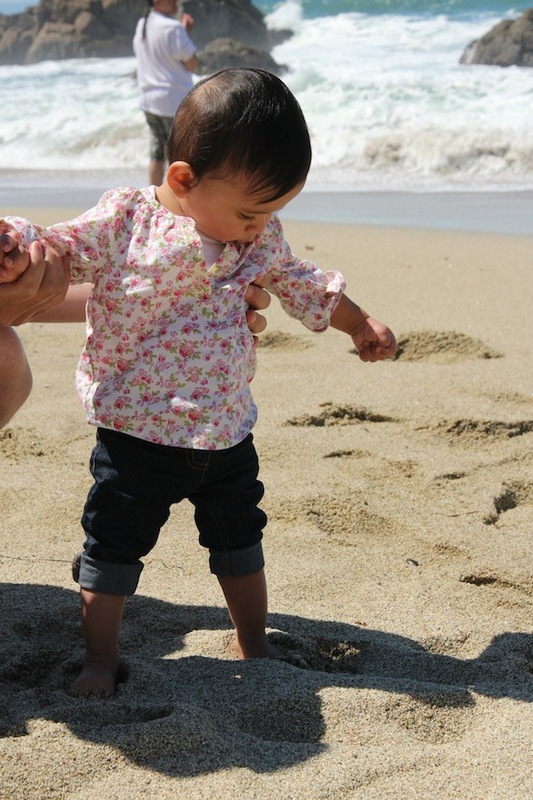 Bethypoo was not excited at her first dip into a Northern California beach. 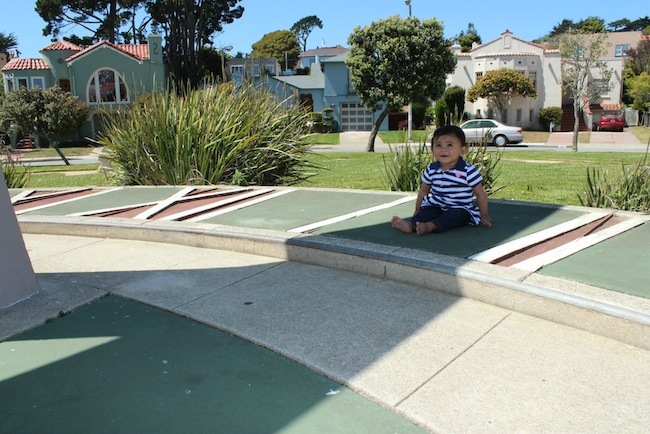 The roaring waves scared the poor little girl! She didn’t like the sand in between her toes either. 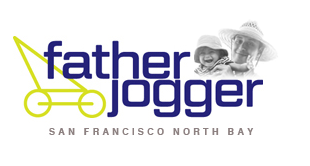 However, the rest of her tour of Bodega Bay was enjoyable, especially after spotting a gray whale off the coast! While I thought this replica of a medieval castle in the Napa Valley was pretty cool, Bethypoo was only slightly amused. It was still awesome to see what a 900-yr-old castle might’ve looked like newly built. 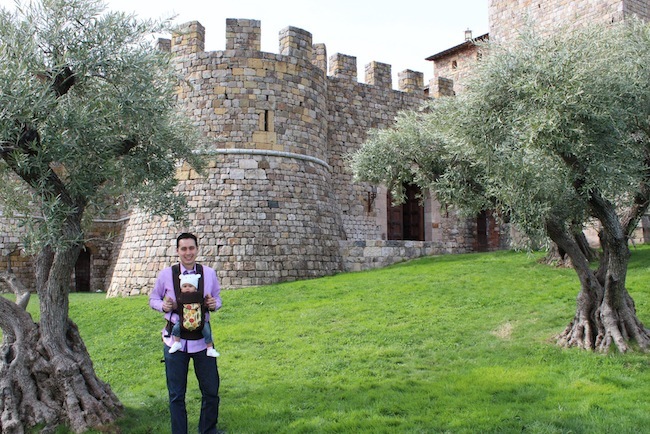 This castle is actually a winery in Calistoga, the Castello di Amorosa. 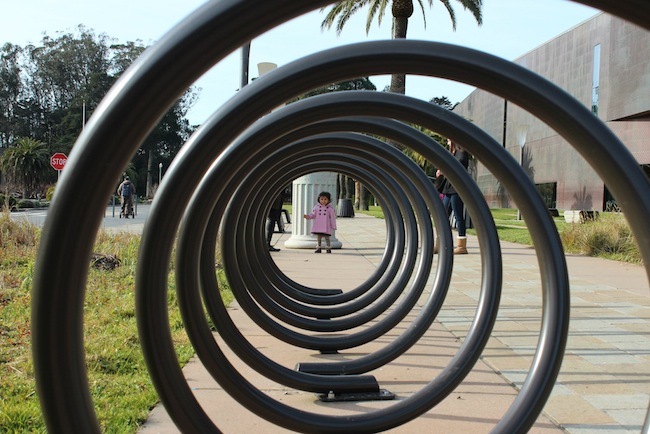 Enjoying a stroll through Golden Gate Park, San Francisco. 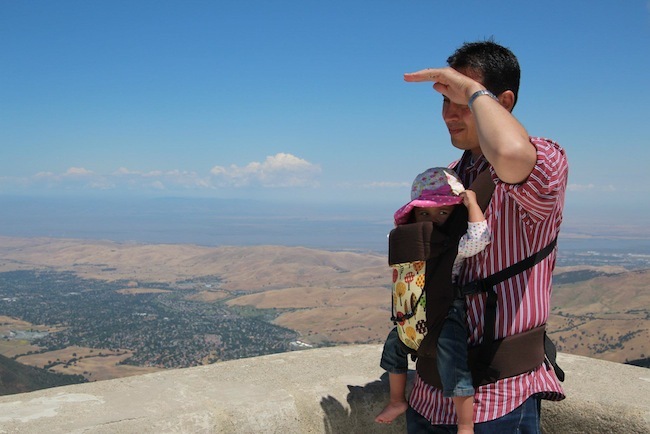 The view from the the summit of Mount Diablo, Contra Costa County, is stunning! However, we were too busy shielding our eyes from the bright sun. 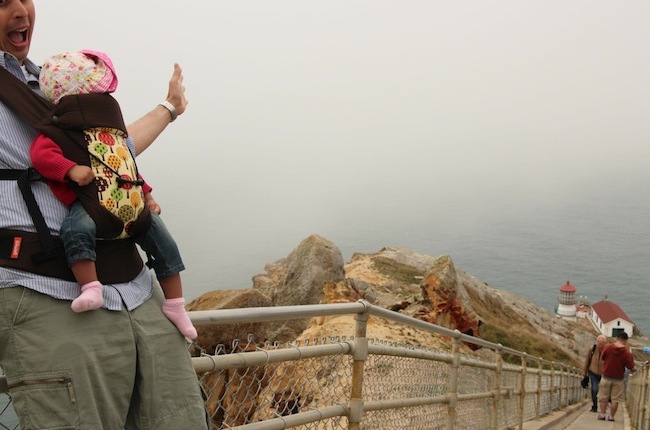 Dada almost lost his balance before descending the 300+ steps to the lighthouse at Point Reyes National Seashore. 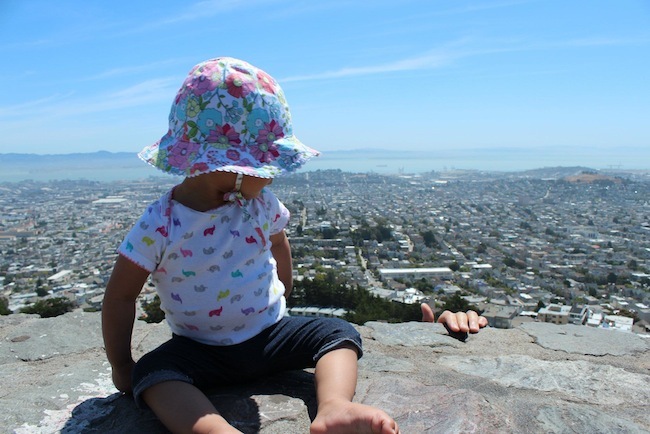 Bethypoo was unwilling to lend her Dada a helping hand at Twin Peaks, San Francisco. 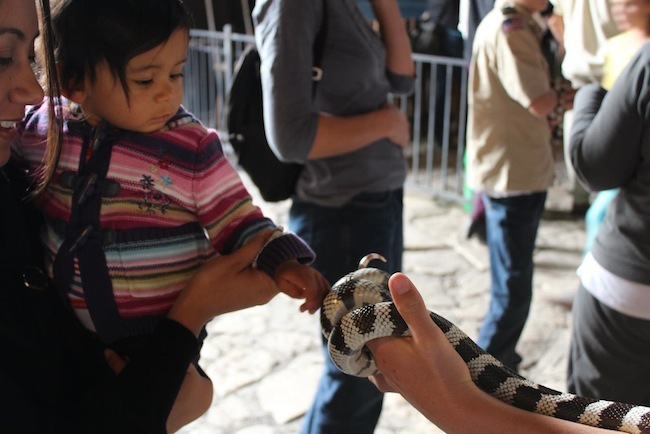 Bpoo was clearly not worried about whether or not the cute little snake from the Tolay Lake Fall Festival was venomous. 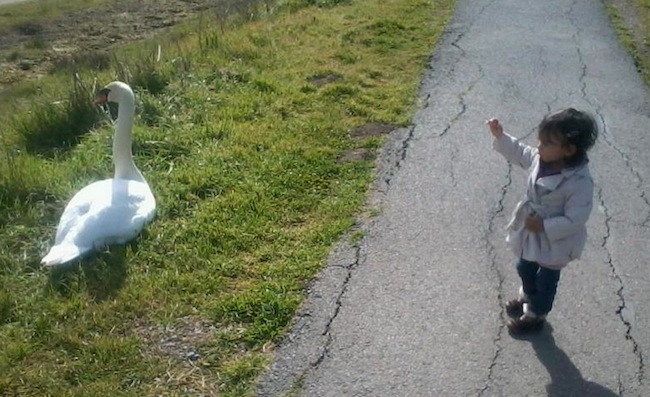 This aggressive swan at Shollenberger Park was hissing at dog walkers, but didn’t seem to mind a little gawking toddler. 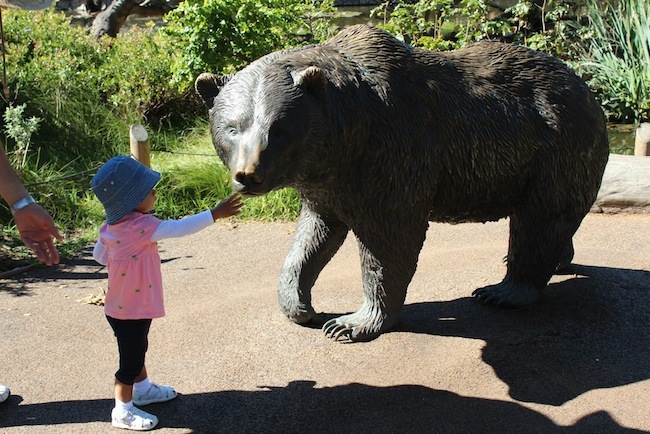 Bethypoo begged us to stop so she could reach for this San Francisco Zoo bear’s muzzle!